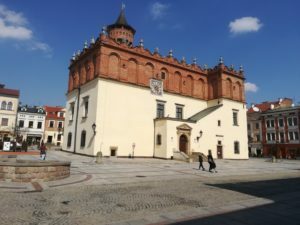 ” The Pearl of Renaissance”- that’s how Tarnów is being called. On entering the town square one is bound to visualize Sukiennice in Kraków with mascarons, pinnacles and pits. This magnificent- looking building was erected in a Gothic style, but its only slightly changed image can be admired at present. Likewise, the Cathedral Basilica located slightly up to the place. This three-nave structure dates back to the second half of the 14th century and is directly connected with the location of the city in 1330. Inside, one can admire gothic, renaissance and baroque motifs as well as the tombs of Tarnowski and Ostrogski’s families (the highest monument in Europe correwsponding to the Mannierism style, sculpted by Jan Pfister of Wrocław). 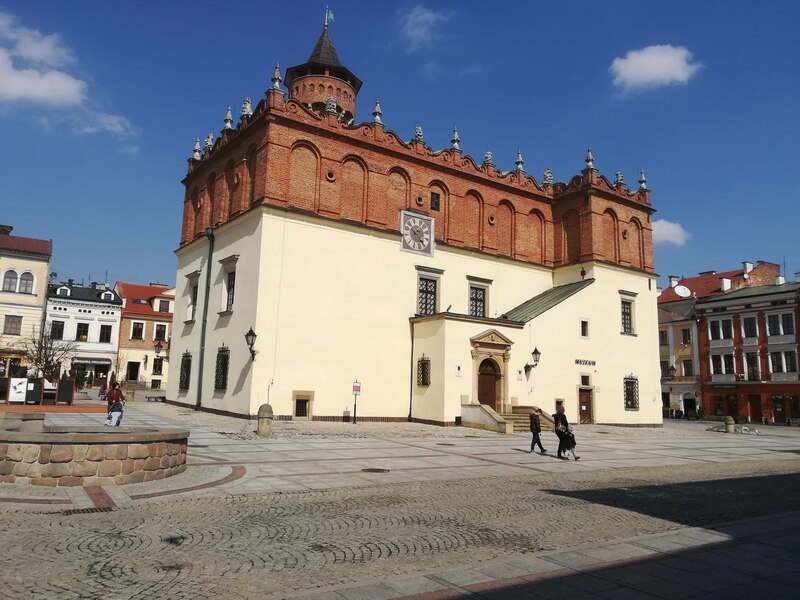 Another example of a sacred monument (the chapter’s houses and the provost’s hearquarters), which in the past was also used for secular purposes (health centr and currently the Diocessan Museum), is the Mikołajowski’s House. Following the Cathedral Street, we reach Fish Square, we turn right and then we take the first turn on the left into Jewish Street, thus reaching the House of Florence, built in a Renaissance style. Visiting the places on the route usually lasts two hours.